Property Protector has committed long term support to Operation Orphans, East Midlands based project Forget Me Notts. 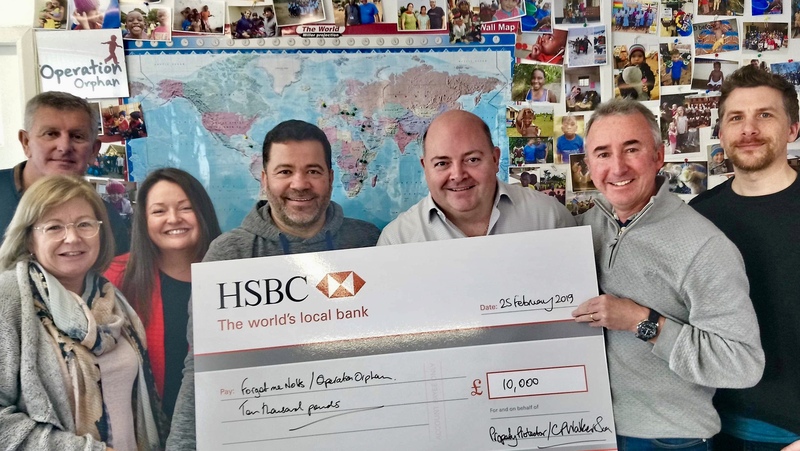 Operation Orphan came to life in February 2010 with an audacious desire to be able to say that 100% of all donated money will go to the projects, rather than be swallowed up in the running costs. After key conversations with friends and other business associates, who agreed to underwrite all UK administration costs, this partnership was the catalyst that birthed Operation Orphan and to date the charity is growing and making a difference in many children’s lives. Property Protector’s involvement came about by a chance meeting of the founders of both companies; there was an instant connection and a strong desire to help. Forget-Me-Notts is one of Operation Orphan’s UK projects. Their aim is to send a message to vulnerable children in and around the East Midlands, letting them know that they are not forgotten. Each Christmas and Easter they give a gift to children who are in need of support. This helps us get their message across. In addition, they work directly with Social Services and support agencies to identify and meet the practical needs of at risk children in the area. When they know what the children need, they ask the people in the Forget-Me-Notts support network if they can help them meet these needs. As a Nottingham based business we are proud to offer our long term help to Operation Orphan’s local project Forget-me-Notts, but with our national presence have plans to expand this help across the UK. If you would like to help us partner in your area, please let us know at.